We take pride in being experts at arranging your wedding. We have been the very proud winner of the award for the Best Wedding Venue in Devon 3 times and runner up twice in the last 8 years. The votes are cast by previous brides and grooms to reflect service, value for money and overall excellence in event management. We are licensed for civil weddings and boast one of the prettiest rooms in the South West to get married in. 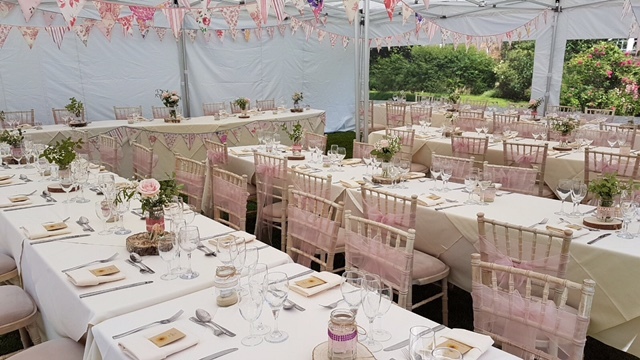 Our stunning summerhouse is licensed for outdoor weddings and our luxury garden canopies provide a bit of shelter if the weather is not co-operating or the sun is too hot. We only ever have one wedding per day to ensure you have our fullest attention, and we can help with any of the arrangements you need. Your dedicated wedding planner will guide you through the planning stage and be present on the day to ensure your special day runs effortlessly. Brides consistently comment on how much more flexible and friendly our venue is compared to chain hotels and stuffy stately homes. 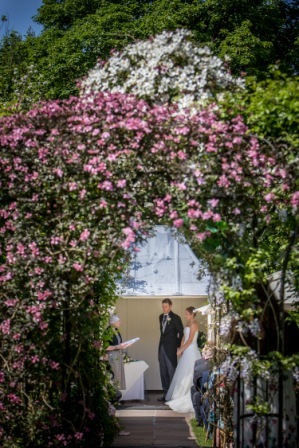 Our 6 acres of grounds are beautiful, with the gazebo blooming with roses and clematis offering a lovely centerpiece for your photos, as well as the lakes and River Taw being perfect scene setters for amazing wedding pictures. Our Bridal Suite, with enormous, white, 7 foot four poster bed, is truly stunning and perfect for the occasion. Click here for our NEW garden party package with afternoon tea and mini marquee fully inclusive. 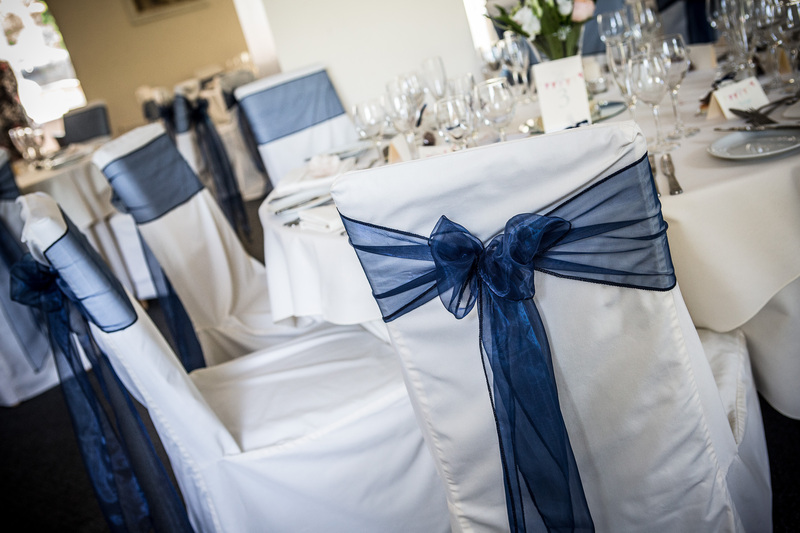 Contact our team at the Hotel for more information or to set up an initial meeting to come and see the facilities for yourself or click here to download our wedding brochure. We work with a number of local suppliers who can help your wedding be exactly as you want it – take a look at the list of recommended suppliers here. 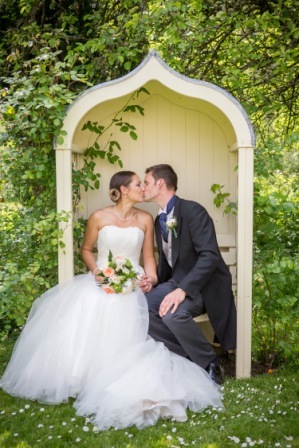 Take a look at some of our wedding photo albums on Facebook. 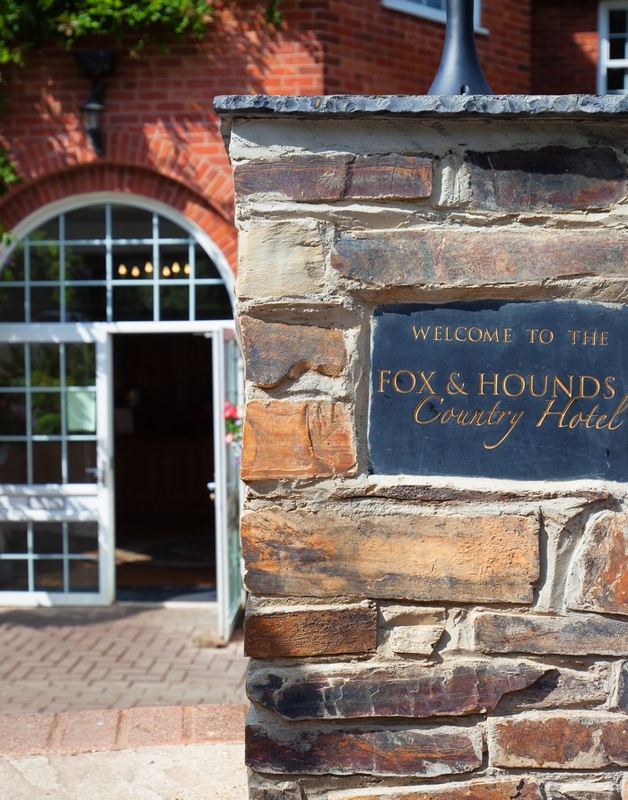 Take a look here at a short video of Weddings at The Fox and Hounds Hotel. 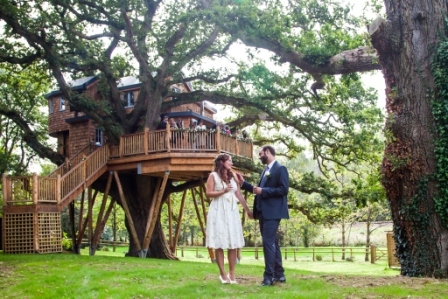 Now you don't need to worry one bit whether the weather will spoil your big day. 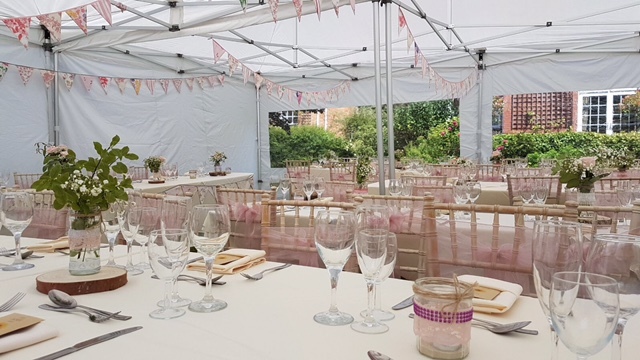 Our gorgeous new gazebos offer an additional dining space for up to 50 guests so you really can have a garden party for your special day. Valid Sunday to Thursday, includes Civil ceremony in the chapel with chair covers and your choice of sash colour; one Bucks Fizz or soft drink per person after the Ceremony and use of the garden for photos; 2 course set meal or hot buffet with child meal option also available; glass of Prosecco for a toast drink; hire of the restaurant until 17.30 with our standard banqueting tables and chairs hire of the main bar until 23.00 if required for evening reception; double room for the wedding night with breakfast the next day. From just £2750 for 40 guests in 2019, £2800 in 2020. 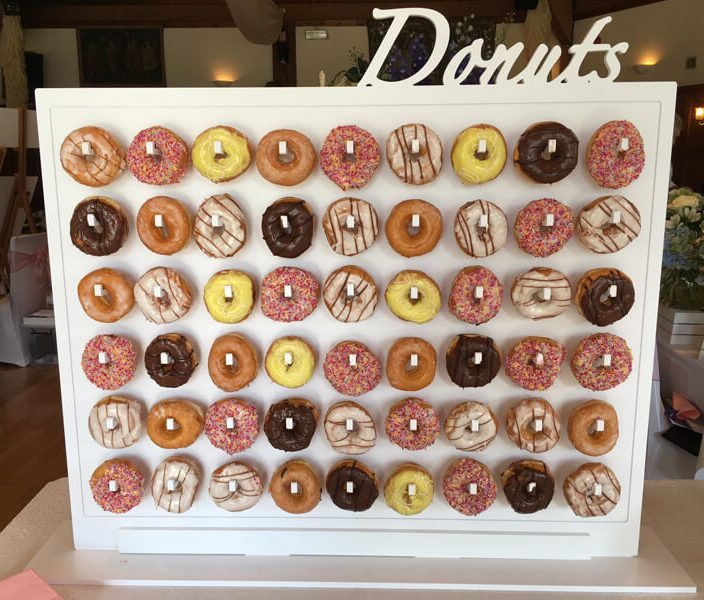 NEW for 2018 why not add our Giant Doughnut Wall to your celebration? Over 1 metre high, this sweet addition will add a 'wow' to the big day. Freshly cooked delicious iced doughnuts for all your guests to share from just 95p per person (based on 100 ordered). Also new for 2018 we can now offer delicious flame-grilled, rotisserie style grills for your evening celebration or buffet, for any number of guests from 30 to 200. 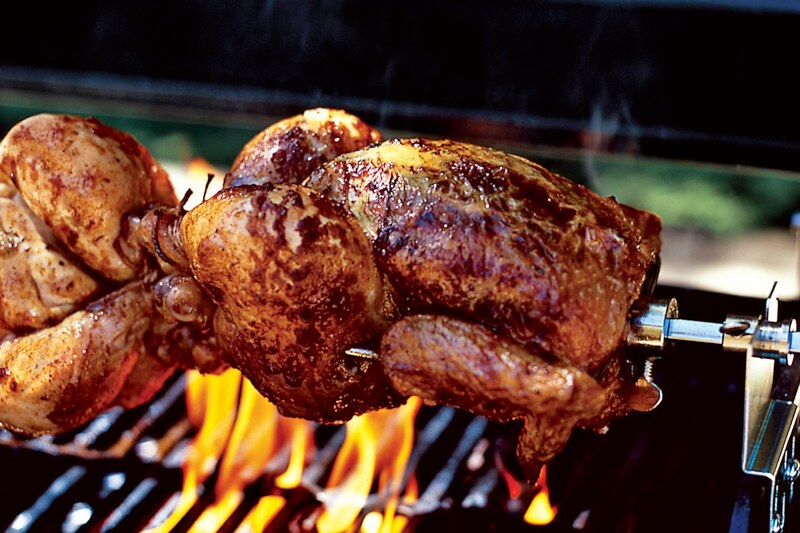 Fresh free range chicken, lamb, gammon or pork, slow-cooked and basted with our signature BBQ glaze makes this a fabulous new tasty way to celebrate in style and a great alternative to a hog roast or barbie. Winner, Winner, Chicken Dinner!! Take a look at our listing and reviews on the Hitched web site - click here.